The beach is adjacent to a Site of Special Scientific Interest. Meadfoot is on the South West Coast Path. The beach is cleaned daily in the summer and periodically in the winter. The north eastern section has a 'poop scoop' law in operation between May - September. 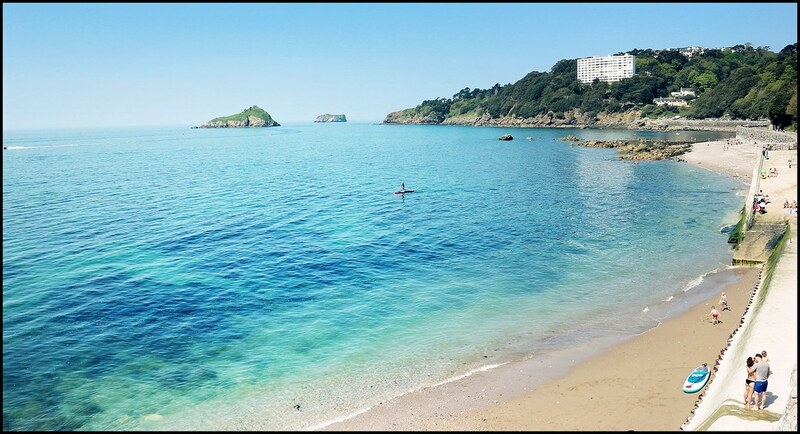 Where is Meadfoot - Torbay Beach? From Torquay harbour. follow the signs for Babbacombe. turning right at the sign for Meadfoot Beach. The beach can be reached from the road. Buses pass nearby. Torquay is the nearest railway station. and buses go from here to the beach.